Have You Heard What's New in the Neighborhood? Find out Now. It has been said that you can tell whether a person is clever by the answers they give and whether a person is wise by the questions they ask. One question heard with increasing frequency of late is: "What does LCA do with all the money it makes at events?" To anyone familiar with the economics of our all-volunteer not-for-profit that question seems less wise than perplexing. In fact, the question actually seems rhetorical...the first response...a chuckle. But, it then occurs that, perhaps, the question is well intentioned. Well intentioned questions always deserve thoughtful answers, not merely clever ones. With Howler at Bauler only days away, now is an appropriate time to answer. First, as a matter of governance, LCA's financials are always available for inspection by members in good standing. It won't be an interesting read, and certainly won't take very long, but, the option does exist. A better answer is to simply encourage you to continue reading this issue of our newsletter. If you do, we hope you will be inspired to learn even more about LCA's mission to better our neighborhood and how we go about it. Possibly, you'll even become curious about what role you could play. Either way, we believe the question will be answered. Now, we have a question as well. If you're not already a LCA member, why not? We're already prepared, of course, for answers we'll likely receive. The are familiar to us. "We don't have time." Congratulations, you are a perfect candidate! There are no time obligations for LCA membership. Members participate as much as they want or as little as they want. Many simply pay the dues and participate no further.
" We receive your newsletter, so, we're already members." As Lee Corso says each Saturday on ESPN's College Game Day: "Not so fast, my friend ." Our newsletter is actually not a member benefit. Rather, it is made available to everyone as a gift from LCA. If you haven't joined LCA, we certainly hope this free gift isn't the reason why. Either way, we hope you find value in this issue of From the Heart.
" We don't live in LCA's boundaries."Awesome. You'll feel right at home with us. More than a third of LCA members reside outside of our geographical boundaries, including many of our most engaged volunteers and several of our Lifetime members. P. S. Feel free to contact me at any time at kenneth@chicago.com or 773.531.5515 if you would like to learn more about LCA or have neighborhood concerns. Special Note : If you have joined or renewed your LCA membership since mid-September, we apologize if you have not yet received your new membership card(s). We've hosted or co-hosted three events since mid-September with our biggest event to come this Saturday. As a result, we've fallen been a bit behind on the cards. Thank you for your patience. If you haven't received your card yet, you will next week. Get ready for another magical afternoon in our neighborhood when LCA hosts the 11th Annual Howler at Bauler. 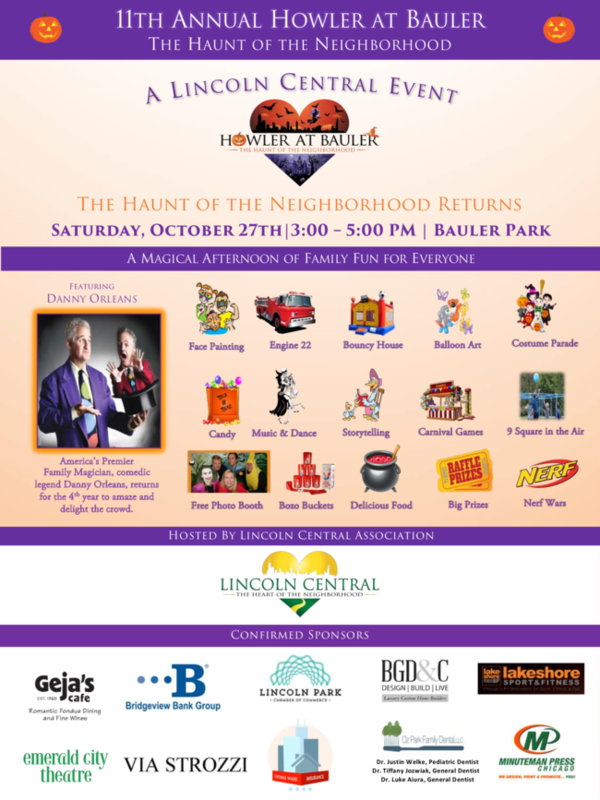 Howler is a festival of family fun scheduled for Saturday afternoon, October 27th from 3:00 to 5:00 PM at Bauler Park. Click here to see full size event flyer. Featured attraction Danny Orleans , America's premier family magician (pictured), is returning for his fourth year at Howler. This year's event will offer more entertainment than ever before. Read more about this year's event in sections below. We hope you can join us on Saturday. You'll have a howl of a good time if you do. T he firefighters and engineers at Fire Station 22 are among the most valued assets in our neighborhood. 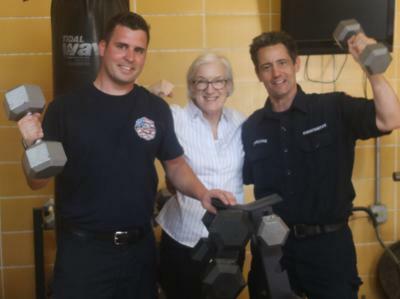 Previously, LCA had donated a weight set to the firehouse to help the firefighters stay fit. Fire Engine 22 is always one of the most popular activities each year at both Spring Zing and the upcoming Howler at Bauler. So, don't forget to come out to Howler on Saturday, October 27th. Read more about Engine 22's appearance in a section below. LCA recently donated $1,500 to the Oz Park Advisory Council to help fund a new security camera being installed in Dorothy's Playlot in Oz Park to help prevent vandalism and to identify any vandals. The camera has now been purchased and the Chicago Park Park District is now making arrangements to install the camera. In 2017, LCA contributed $5,000 to the restoration of the Park's heavily utilized tennis courts. 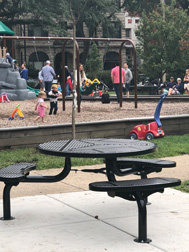 LCA and 43rd Ward Alderman, Michele Smith recently worked together with the Chicago Park District to install two new tables with attached seating in Bauler Park. The tables were a badly needed improvement for the heavily utilized family gathering spot. The sturdy, professionally installed furniture was made possible by funds raised in the neighborhood by LCA matched by Alderman Smith's office. "Lincoln Central Association has been a tireless advocate for neighborhood parks for many years," said Alderman Smith. "When they made me aware of the need for tables with seating in Bauler Park, my office was happy to help fund this improvement." ﻿Tables aren't the only enhancement LCA has made recently at Bauler Park. At the request of the Chicago Park District, LCA recently formed a new Bauler Park Advisory Council (BPAC) headed by LCA Board Director, Anne Moore and LCA member, Dennis Hack who both live near the Park. 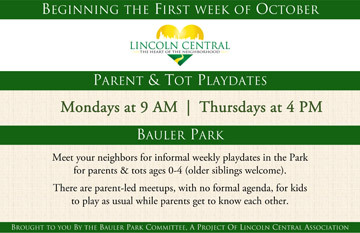 BPAC is working on a variety of activities including Parent & Tot Playdates in the Park held each Monday at 9:00 AM and each Thursday at 4:00 PM. Learn more about BPAC on their Facebook page and in the next issue of From the Heart . Click here or above to enlarge graphic. Our neighborhood parks are are vitally important. Please help keep them safe and calling 911 to report any suspicious activity taking place. 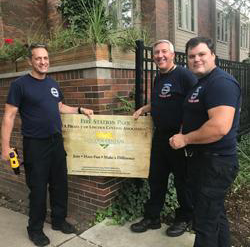 For the second consecutive year, Fire Station Park & Gardens is the recipient of a Chicago Excellence in Gardening Award . The award, which came in the Community Gardens : Specialized Garden category, was presented to LCA at a ceremony held on Saturday, October 30th at Garfield Conservatory. Congratulations to Sally Drucker, Chair of LCA's Parks Committee, and her dedicated team of Fire Station Park volunteers for this honor. Their remarkable contribution to our neighborhood is also deserving of our thanks. Read more about this award and new and planned initiatives at Fire Station Park & Gardens in the next issue of From the Heart . Special note: Lincoln Central Association regrets any inconvenience caused to anyone by the recent decision to lock the gate at the back of Fire Station Park which leads to and from the alley. Unfortunately, recent vandalism by individuals accessing the Park from the alley has made this step necessary. Please help us protect this Park by calling 911 if you witness vandalism or any other illegal activity occurring in the Park. Also feel free to contact us at parks@lincolncentral.org if you have any questions or concerns. 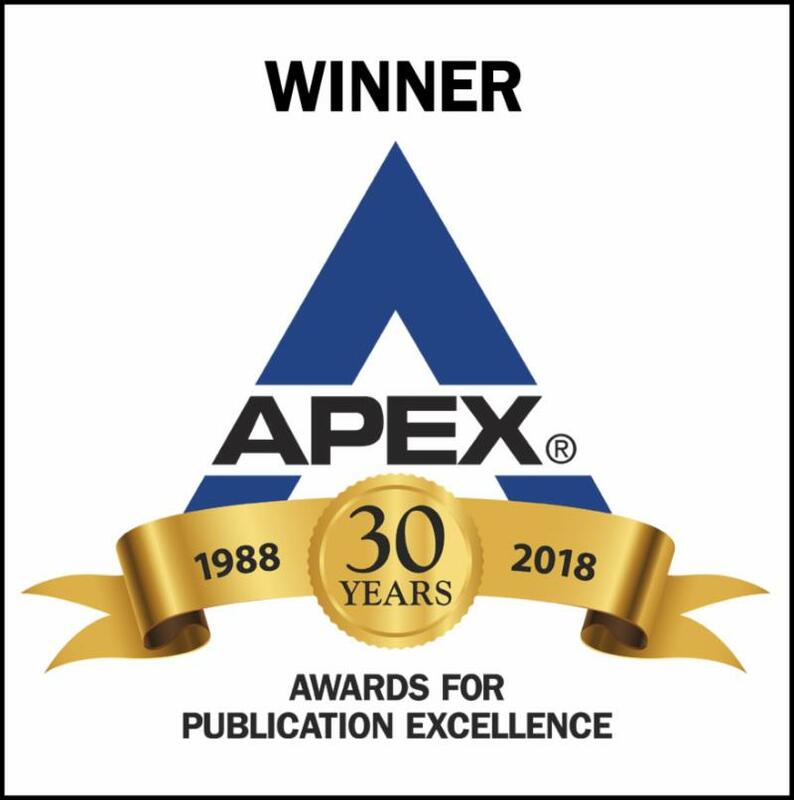 LCA is a recipient of a 2018 Grand Award in the 30th Annual APEX Awards for Publication Excellence. Originally conceived to acknowledge print publications only, the APEX Awards have now evolved recognize excellence in communications more generally. The Grand Award , the highest level award presented by APEX, came in the Campaigns, Programs & Plans category. LCA was the only volunteer not-for-profit to receive this honor. "If only every community could accomplish what Lincoln Central did with this fabulous 'Heart of the Neighborhood' campaign! Very impressive." Last year, LCA received a Grand Award for its suite of event and organizational logos. From the Heart , LCA’s newsletter, was the recipient of three 2018 APEX Awards for Publication Excellence. This marks the third consecutive year LCA's newsletter has received at least one APEX Award and brings to five the total number the newsletter has received since 2016. (Across all communications categories, LCA has received a total of eight APEX Awards since 2016.) APEX awards are based on excellence in graphic design, editorial content and the ability to achieve overall communications effectiveness. Only four Awards of Excellence were presented to volunteer not-for-profit organizations in 2018, including the three received by LCA. In the Newsletter Writing: Feature Writing category, a feature article by LCA Vice President Kathy Jordan about Isabelle Ketchum, a special needs student at Alcott High School who had recently been accepted to college, was honored. A Jordan authored article was honored in the 2017 APEX Awards . The April 2017 edition of the newsletter, which included feature articles by Jordan and LCA Zoning Chair, Anne Moore, was honored in the Newsletter Writing: Entire Issue category. ﻿In the Writing: Regular Column category, LCA President Kenneth Dotson's letter to readers, which appears in every edition of the newsletter, also received an honor. 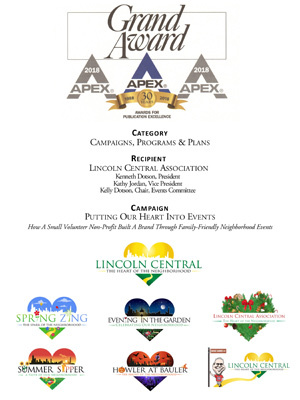 Complete details on LCA's 2018 APEX Awards can be found in a press release at the end of this newsletter. Lincoln Central Association will once again team with the Oz Park Advisory Council to light up the neighborhood at Oz Park's 2nd Annual Holiday Tree Lighting ceremony. 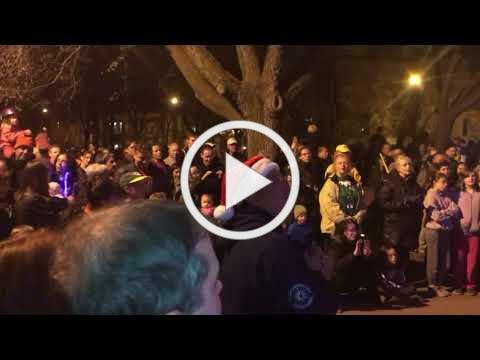 43rd Ward Alderman Michele Smith called last year's tree lighting ceremony "the most amazing thing Lincoln Park has done in decades." Click above to see video from last's year's ceremony. This year's ceremony is scheduled for Saturday, December 1 at 5:00 PM. Mark you calendars so that you do not miss this amazing neighborhood event. Come out early on December 1st and warm-up with Lincoln Central Association and the Lincoln Park Chamber of Commerce! 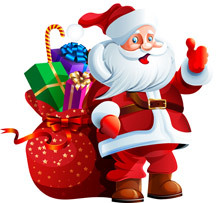 be been in communication with the North Pole and are optimistic that if the boys and girls in the neighborhood are on their good behavior, we can persuade Santa to return. Stay tuned for additional details. LCA is pleased to join with Wrightwood Neighbors Association & Park West CommunityAssociation to co-host a 43rd Ward aldermanic debate on Monday, January 7th, 2019. The debate will be held in the DePaul Student Center beginning at 6:30 PM. All 43rd Ward aldermanic candidates who have qualified to be on the official ballot for February 26, 2019 election will be invited to participate in the debate. In the weeks before the debate each of the hosting neighborhood associations will solicit potential debate questions from their respective memberships. Questions will be screened and selected by a debate committee comprised of representatives from each host organization. The debate rules, format and other details will be announced in the weeks before the debate. Mark your calendars now to attend the January 7th, 2019 43rd Ward Aldermanic debate. One of the most exciting aldermanic races in Chicago next year is certain to be the hotly contested battle in the 51st Ward where challenger Nine Esposito tries to unseat incumbent Ralph Stevenson who has represented the Ward for thirty-seven years. The 51st Ward, home to the Rightlynd neighborhood, has been struggling in recent years. The loss of the L service has contributed to abandoned storefronts, crumbling apartment buildings and increasing crime. The challenges in Rightlynd have caused all neighborhood volunteer not-for-profits to cease operation. Sadly, newsletters like From the Heart are no longer published in Rightlynd. 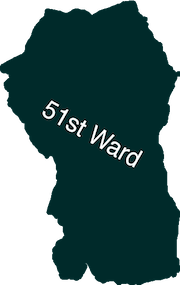 As a public service to 51st Ward voters, LCA has agreed cover this election as The Official Newsletter of the 51st Ward. Think we're confused? We're actually not. It's just our way of peaking your curiosity about Rightlynd, a new play that will be making its world premier at Victory Gardens Theatre on November 9, 2018. Learn more about Rightlynd. 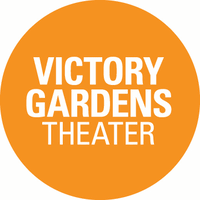 Victory Gardens is a member of LCA. Live Nation executive John Ketchum, pictured with wife Kelly and daughter Isabelle, was named Best Buddies Champion for Illinois at a gala held on Friday evening, October 19th at Theatre on the Lake. Their programs empower the special abilities of people they serve by helping them form meaningful friendships with their peers, secure successful jobs, live independently, improve public speaking, self-advocacy and communication skills, and feel valued by society. The Ketchums, who reside in Lakeview, are Lifetime members of LCA. They are also active in several organizations that assist individuals with special needs. In addition to Best Buddies, the Ketchums are supporters of Special Olympics , and Gigi's Playhouse , among others. Kelly serves on the Advisory Board for Best Buddies, Illinois. Isabelle has been the subject of two feature articles in From the Heart authored by Kathy Jordans , one of which received an APEX Award for Publication Excellence for 2018. LCA is proud to have the Ketchum family, including Isabelle's amazing sister Chloe, as Lifetime members of our organization. We are grateful for their support and their commitment to community more generally. LCA member Tanya Franco (pictured in front of store) answered her own question when started her Via Strozzi clothing line in 2013: Why can't American women find and wear the casually elegant, not-too-expensive, quality fashions worn by Italians? With zero industry experience, Franco connected with 25 small factories in Tuscany where her designs are made with Italian fabric, then imported to the United States. Runs are minimal. "I don't want 100 of anything," says Franco, who grew up in London and moved to Lincoln Park as a teenager. "Fifteen is heavy for me. We have five of this dress; we will only have five. Once we sell out, that's it. It's limited, so women feel like an individual. And we make sure it fits properly, that it works well for a woman's age and body type." Franco's line is constantly refreshed and quickly produced. 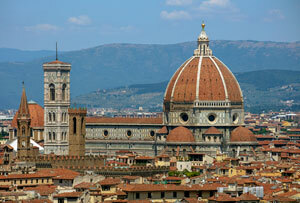 She travels to Florence, Italy ( pictured ) every six or so weeks, staying for a few days, working with her Italian staff on new designs. Opening a store was not part of the initial business plan. Franco started with an online presence and did trunk shows all around the country, but she found that her clients wanted to try on clothes before purchasing. She opened Via Strozzi (named for the street in Florence where she keeps an office) retail space in 2015 in Lincoln Park. In 2016 she opened at 1971 N. Halsted Street, just south of Armitage Avenue. The store is recognizable by its fashion-forward window displays and an antique flower-decked bicycle at its front steps. Franco started her professional career in Chicago and then moved back to England, where she worked for a hotel investment company as global head of design and development, and managing director of the European company. Her store's sophisticated welcome comes from that experience. The 1,800 square foot dog-friendly space (canine customers pictured) is more than a store, by design: Franco hosts fundraisers once or twice monthly. She brings in a psychic, has wine tastings, offers cheese plates from Pastoral Artisan Cheese, Bread & Wine. These are social evenings that introduces people to her store and clothing line and give back a percentage of sales to organizations such as Chicago Children's Museum, Cradles to Crayons, and Bear Necessities. She merchandises elsewhere, too: in private homes and at the semi-annual One of a Kind Show at the Merchandise Mart. Franco employs as many as seven, including two senior sales managers who are experienced and at ease outfitting women to look their best. 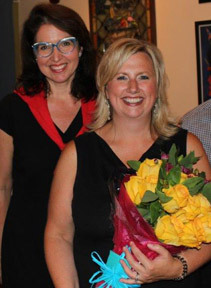 Kim Schiff (pictured ) recently celebrated 25 years with the Lincoln Park Chamber of Commerce. She became LPCC president and CEO in 1998, having begun her career with the Chamber in 1993. She served on the Board of the Illinois Association of Chamber of Commerce Executives from 2002-2007, and was chairman of the Board in 2004. 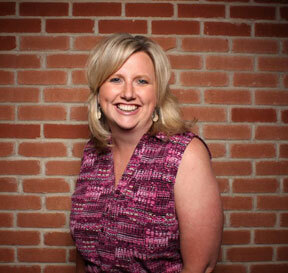 She is a 2002 graduate of Notre Dame's US Chamber Institution for Organizational Management program. From the Heart : Describe some of the changes in your 25 years with the Chamber? 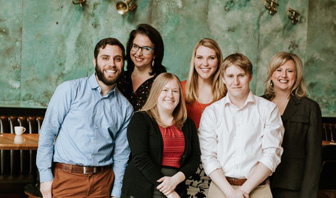 From the Heart: How did you happen to join the LPCC staff? Kim: We established two Special Service Areas (SSAs), one on Clark Street between Diversey & Armitage, the other on Lincoln Avenue between Diversey & Webster. In addition, while the Chamber has always focused on helping area businesses, we now work more closely with residents, supporting the whole community. 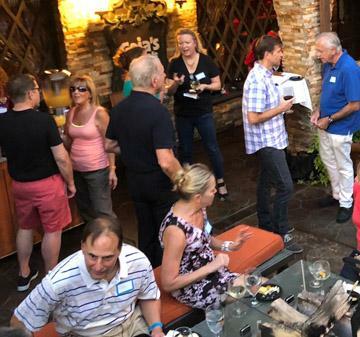 We connect residents with businesses through wine strolls and other events. Instead of business to business, it's business and community. We work with neighborhood groups like LCA to accomplish our goals by promoting their community events to members, attending Annual Meetings, having booths at member events such as LCA's Spring Zing and Howler at Bauler. From the Heart: Do these changes include any improvements for the neighborhood? Kim: Through our Lincoln Avenue Plan we are restoring some of the Avenue's assets between Diversey & Webster, including restoring the alley between the CVS on Fullerton and Lincoln Hall on Lincoln. The alley is a convenient way to get from Fullerton to Lincoln but some people won't use it because it is dark and dirty. We are transforming the alley-repaving; adding a mural on the side of Lincoln Hall; updating lighting; and adding festive overhead lighting. The dumpsters are going into an enclosure so they won't be unsightly. We've worked with property owners, the SSA, and the Alderman's office on the project. The space under the el tracks on Lincoln Avenue is undergoing a similar restoration-lighting and art work, for example. 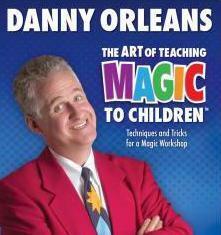 LCA is pleased to bring America's top family magician, Danny Orleans , back to Howler for the third consecutive year. Danny, a former elementary school teacher who also taught Kindergarten as well as Algebra to Middle School students, is internationally recognized as an expert on presenting magic to children. Along with performing magic at kids' birthday parties, Danny has toured school shows nationwide and, with his wife Jan Rose, toured a theater show to museums and children's theaters in the U.S., Canada, and the Virgin Islands. Danny is the author of the Kids Show Masterplan, among other books, and creator of the DVD series, The Art of Teaching Magic to Children. 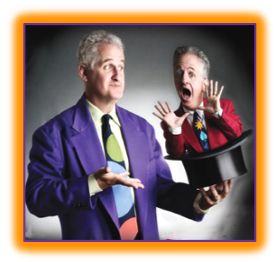 In addition to being a magical educator, he is a widely respected trade-show performer and corporate entertainer. Don't miss this opportunity to see Danny Orleans as he performs up close magic! And, let's come out in record numbers again this year to show Danny the magic that is already thriving in our neighborhood. Our neighborhood is fortunate to be protected by the firefighters at Station 22 -who are as kind as they are brave. 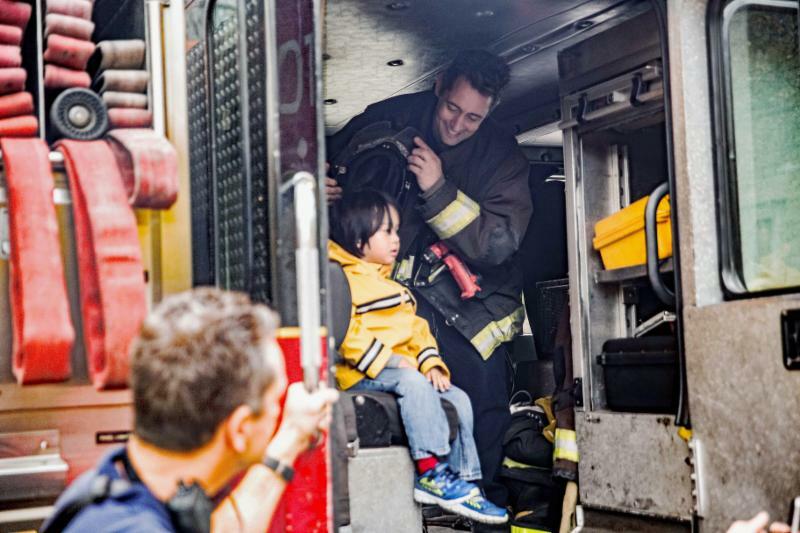 Whether responding to emergencies, delighting neighborhood children at LCA events, or pitching in to help at Fire Station Park, they are always prepared to serve. Climb aboard! This Saturday afternoon, October 27th, Engine 22 will be making its annual appearance at Howler at Bauler, always one of the event's most popular attractions. 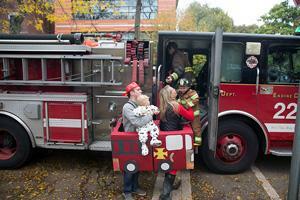 So come out to the event, meet the firefighters and let your little ones climb aboard Engine 22! One of the highlights each year at Howler at Bauler is always the annual costume parade. LCA's very own wizard, longtime member Gary Sinclair, will be back once again to lead the costume parade at the 11 Annual Howler at Bauler parade. At approximately 4:15 on Saturday afternoon, Wizard Sinclair will invite all the costumed children, and others who want to participate, to join him in a parade through Bauler Park. You'll want to have your camera's ready to snap photos of the assorted ghouls, goblins and princesses march by you. Also returning will be the bounce house and a variety of other fun activities provided and professionally staffed our by our friends at LCA member Lakeshore Sport & Fitness. We'll also have arts & crafts provided by our friends from Emerald City Theatre, an LCA member. 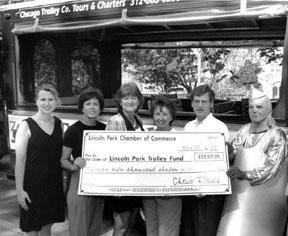 LCA member and sponsor the Lincoln Park Chamber of Commerce will be back with Bozo Buckets, candy and more. They'll also tell you about their great upcoming event, the 10th Annual Spooktacular. 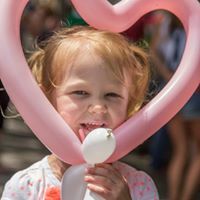 The event will once again feature a balloon artist. we've even added a second face painter due to the popularity of that activity each year at Howler. There will also be miscellaneous games and other fun activities for children and adults alike. Howler offers family-friendly neighborhood fun for all ages. While Danny Orleans is providing the tricks, our friends from Geja's Cafe , named the most romantic restaurant in America by USA Today in 2015, will be serving their amazing Belgian chocolate fondue to attendees. When you think about places in the neighborhood to dine at or order from, remember Geja's supports our neighborhood. Come out to Howler at Bauler and let our friends at Geja's know you appreciate their generosity. See and download their TO GO menu . Special guests are expected to include 5th District Congressman Mike Quigley, 11th State Representative Ann Williams and 43rd Ward Alderman Michele Smith. Follow us on Facebook to learn more about the activities planned for the 10th Annual Howler at Bauler. They are all accessible and easy to talk to at LCA events. CAN PICTURE YOURSELF AT HOWLER? YOU CAN THIS YEAR! For the first time ever, Howler at Bauler will include a full featured, professional photo booth featuring Simple Booth and its Halo technology. 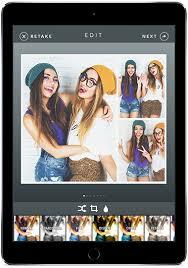 With Simple Booth photos will be delivered to your mobile phone instantly via either email or text. You can also send them to family and friends at the same time. This exciting new event activity will allow you to capture and share even more memories from the neighbor's most popular Halloween event. There will be no extra fee to use the photo booth. It's a value add courtesy of LCA. WHAT DOES LCA DO WITH ALL THE MONEY IT MAKES AT EVENTS? Sometimes we're asked the question above in response to a suggestion to someone that they join our organization. Often, however, the question feels more like a statement: "LCA makes so much money from events that you don't need membership fees. You have plenty of funds already." Regardless of whether it is a question, a statement—or merely an excuse to not join—a reality check seems like a worthwhile endeavor. Howler at Bauler will be jam-packed with a variety of entertainers paid by LCA, with the support of our sponsors, including the nation's top family magician, two face painters, a balloon artist and two DJs. This year, we are adding a photo booth where families can have their pictures taken—at no charge—with the photos sent instantly via email or text. Additionally, LCA volunteers have worked hard to secure sponsorships and in-kind contributions bringing more activities and treats to the event than ever before. 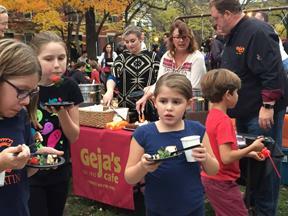 Geja's Cafe will once again generously provide delicious cheese and/or chocolate fondue—at no charge to attendees. There will also be free cider and hot cocoa courtesy of LCA. Candy galore will be available to all courtesy of LCA as well as various sponsors. Several sponsoring merchants will be distributing various items of value. The event involves many other expenses which must be covered by our all-volunteer not-for-profit. They include: permits and insurance; tables, tents and chairs; paper cups and napkins; decorations, printing and supplies; and, of course, the Port-A-Potty. Despite the offerings to attendees and the expense to LCA and sponsors, the suggested donation to enter Howler this year will remain only $10 per family! For a family of four, that's just $2.50 each. For a larger family, the value is even better. It's hard to imagine a better deal anywhere. Yet, history tells us, some will object. Many families, of course, do contribute more than the suggested minimum amount when entering and we always appreciate that extra support. Even with labor and staffing done on a volunteer basis, LCA will, at best, still only net between $3,000-$4,000 from Howler after event expenses are paid. Yes, that includes from all revenue sources, including sponsorships. Depending on the weather, it could be less, to nothing at all or even a deficit if it rains. Even in the best case scenario, it's not a lot for an event that requires hundreds of volunteer hours to plan and execute. But it is enough to make a difference to a minimally resourced not-for-profit and helps us to continue enhancing our neighborhood for all to enjoy. For example, any funds raised at Howler will help cover LCA's share of expenses for the 2nd Annual Holiday Tree Lighting Ceremony in Oz Park. (The lights and their installation for this ceremony do not come free—and they were vandalized last year after the event. Expenses are jointly funded by LCA and the Oz Park Advisory Council) Funds raised at Howler will also help us cover LCA's contribution to the new security camera system in Oz Park. It is now clear an investment will also have to be made for surveillance at Fire Station Park. Additionally, LCA's Board recently authorized funds to restore a portion of the the parkway North of Ogden Mall Park. The cost of this initiative alone will exceed even the most optimistic estimate of funds LCA will raise from Howler at Bauler. 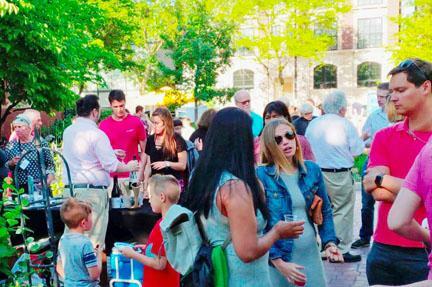 To all who have asked the question, it is also worth nothing that LCA hosts several events each year for which there is no charge or suggested donation, most notably Summer Sipper, Evening in the Garden and LCA's Annual Meeting & Neighborhood Reception. 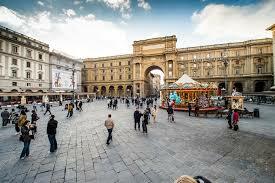 These well attended events all operate at a loss and have since their inception. 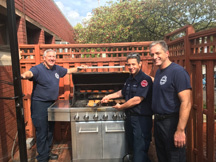 That does not include the resources, financial and otherwise, that LCA invests each year to maintain and beautify Fire Station Park the venue for both Summer Sipper and Evening in the Garden. And, like last year, there will be no fee to attend the tree lighting ceremony in Oz Park (and no sponsorship revenue). Once again, the ceremony will be a gift from LCA and the Oz Park Advisory Council to the neighborhood. All things considered, we sometimes wonder why people never ask how a small, all-volunteer, not-for profit like LCA can provide so much to the neighborhood with what little we have to work with. It's not a question we've been asked to answer. 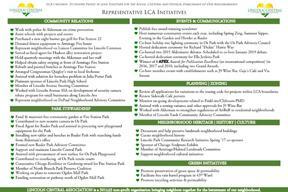 For a more a more detailed view of LCA's recent and on-going neighborhood initiatives, please click the image to the side. 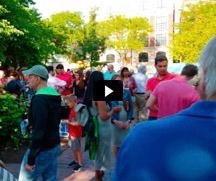 LCA's 4th Annual Summer Sipper, held this year on Sunday, June 23th in Fire Station Park & Gardens, brought neighbors together for an afternoon of magical entertainment, refreshing drinks, delicious hors' d'oeuvres, and engaging conversation. Neighborhood establishments Geja's Cafe, J9 Wine Bar and Seven Plates Cafe were on hand to serve our guests offerings from their menus. Attendees were able able to enjoy the pot luck table featuring dishes prepared by LCA members using one or more items grown in the Park's gardens. 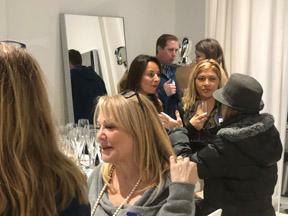 Our friends at Via Strozzi (1971 N. Halstead Street) hosted LCA members and other neighbors for a free evening of fashion, fabulous fondue & fine wine on Thursday, October 18th. Guests sipped on complimentary Italian wine from Perman Wine Selections and enjoyed delicious Gruyere Swiss cheese fondue from neighborhood gem Geja’s Cafe, while socializing with neighbors amidst Via Strozzi's elegant, custom crafted, limited edition clothing direct from designers in Florence, Italy. Each year, September brings to the close our gardening season in award-winning Fire Station Park & Gardens, even as some vegetables continue to ripen and remain available for harvest. 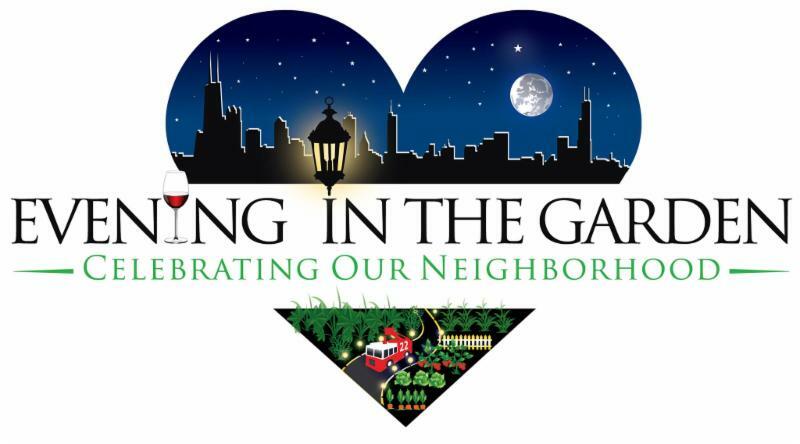 September also brings Evening in the Garden, a season ending celebration of the neighborhood in the Park hosted by LCA. Held this year on Thursday evening, September 13, the 5th Annual Evening in the Garden brought the community together to celebrate our neighborhood, our volunteers, our residents and even our heritage. As guests mingled with friends and neighbors under the stars at the reception style event, they were able to enjoy Swiss cheese fondue and white sangria from Geja's Cafe, a selection of wines from J9 Wine Bar, delicious deviled eggs from 7 Plates Cafe as well as offerings from the always popular pot-luck table. 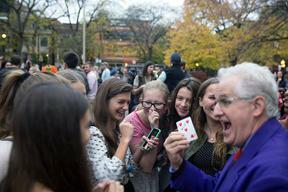 And, once again this year, popular magician Benjamin Barnes amazed and delighted the crowd. 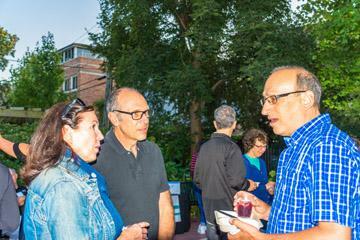 See more photos from Evening in the Garden. 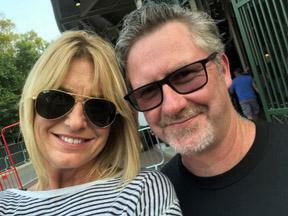 On September 20th, Jeff and Darla Lawler and Geja's Cafe hosted LCA members for a wonderful evening on Geja's beautiful outdoor patio. In addition to sangria and fine wine, the reception featured food from Geja's take-out/delivery/catering menu and Spanish guitar music. Thanks Jeff & Darla Lawler for their warm hospitality and support of LCA. See more photos from event. | Download Geja's To-Go Menu. .
Franco, a graduate of Francis W. Parker School and Washington University in St. Louis, smiles at the naiveté that gave birth to the Via Strozzi business. "I can't draw, I can't sew. 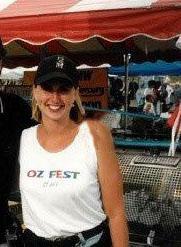 It was a business proposition - a niche - to create quality clothes at certain price point. I thought 'Why can't I do this?' I've learned a lot through mistakes." She lives in Lincoln Park with her four children and husband Luca Franco, who is from Florence and develops luxury experiential hotels worldwide. They travel for leisure: she and her husband go "where we can't be found." That means Oman, Fiji, New Zealand. To truly detox, she and her family spend time at their Cayman Island home. But there's no place like Lincoln Park, says Franco, and why she set up shop here. 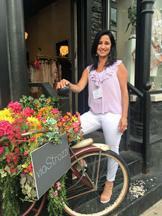 "I love the boutique feel of the neighborhood." Special note : LCA members who present a valid membership card at Via Strozzi receive 20% of all purchases (excluding sales items). Events such as last week's' wine tasting hosted by Via Strozzi and similar recent events hosted by Geja's Cafe and J9 Wine Bar are among the many gifts to the neighborhood from these establishments. They all help sponsor LCA events and each participates in our Values From the Heart™ program. Please let these know how much you appreciate the support they provide to LCA and to the neighborhood. We ask that you also express your gratitude to the other businesses and organizations who are helping sponsor the 11th Annual Howler at Bauler including BGD&C Luxury Custom Home Builders, Thomas Ward Insurance, the Lincoln Park Chamber of Commerce, Emerald City Theatre, Minuteman Press of Chicago, Bridgeview Bank, Lakeshore Sport & Fitness and Oz Park Family Dental. Please also consider patronizing these businesses and organizations when you have the opportunity. To learn more about sponsoring Howler at Bauler or other LCA events, please email sponsorship@lincolncentral.org. To volunteer or participate in LCA events in other ways, please email events@lincolncentral.org. Lifetime and Annual Benefactor members of LCA will receive $200 dollars from Bridgeview Bank (1970 N. Halsted Street) upon opening a new personal account at the bank and $300 upon opening a new business account. This offer is available to new Bridgeview Bank customers only who present a valid LCA Lifetime or Annual Benefactor membership card. LCA member and sponsor Geja's Cafe has another of their popular Winemaker dinners on the calendar. 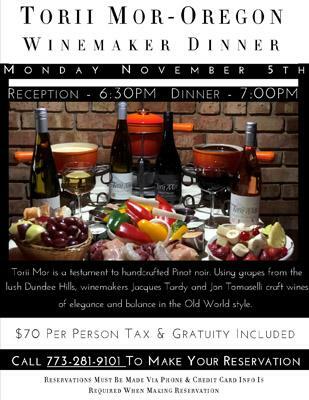 A limited number of tickets remain available for their Torii More-Oregon Winemaker Dinner on Monday, November 5th. Don't miss out on your opportunity to attend this very special event. GEJA'S TO HOST LONGEST RUNNING WINE TAST ING CONTEST IN THE U.S.
November 4th, 2018 at 1 P.M. Sharp!! From the Heart: What would you say are your biggest successes? Kim: Having established the two SSAs in our boundaries is certainly one. Both are professionally run, and financially stable. They provide sidewalk litter pick-up, landscaping, holiday décor, supplementary sidewalk snow removal, and façade improvement, among other services. The Clark Street SSA also provides public art, sidewalk recycling bins, and corridor marketing and community events. LPCC acts as the service provider for them, developing programs, coordinating service, and managing subcontractors as directed by the SSAs. Learn more about SSAs. From the Heart: Do you work with other Chambers on projects? Kim: We are proud to be a mentor to other Chambers. It's nice to be able to share expertise. It's another connection for member businesses, and we help facilitate that. We discourage businesses that want quick sales. We want them to come in and get to know other members so that they grow and are successful. From the Heart: What big moments come to mind in your history with LPCC? From the Heart: On what do you base your success? Kim: I am blessed to have such an amazing Board. from whom I've learned so much. I wouldn't have been here 25 years without them. We also have an amazing, dedicated staff. Over the years, I've learned to delegate. You hire great people and let them do what they're great at. This leads to new initiatives. The Board and staff surprised me with a party in August. We do a business social every year and planned it for Chez Moi this year. The staff coordinated with Chez Moi to have the party. I got there to set up and found a surprise. They worked with Chamber members, with Alderman Smith and former Alderman Daley. They put together photos from 25 years-a haunted house, black tie galas, business expos, golf outings, Lincoln Park picnics, Cubs outings. It was fun to look at the faces over the years. From the Heart: What's next? Kim: We're moving into a new space on Lincoln Avenue in January or February. We'll continue to execute the Lincoln Avenue Plan. And in the spring, we'll launch a new way-finding program with signage along Clark to help people get to landmarks such as the Zoo and Peggy Notebart Museum. From the Heart: Do you still find your work interesting? Kim: Absolutely! It's exciting to come into work every day. There's always something new, a new way to do things, some new way to help businesses and the neighborhood. 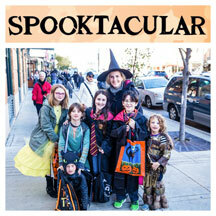 Spooktacular is Clark Street in Lincoln Park's annual Halloween extravaganza! 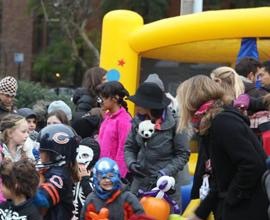 Participating businesses from Armitage to Diversey, and on the south side of Diversey from Orchard to Lakeview, open their doors to trick-or-treaters from 1:00 - 4:00 p.m. on Sunday, October 28! There will be plenty of spooks and sweets for your whole family! When: Sunday, October 28, 2018 | 1:00-4:00 p.m.
Before Spooktacular, grab a warm coffee or brunch on Clark Street! Where: Clark Street from Diversey to Armitage and the south side of Diversey from Orchard to Lakeview. Stay tuned for participating businesses! LCA Board meetings are normally held the fourth Thursday of each month at 6:30 PM in the back room of the Marquee Lounge (Halsted & Armitage). Meetings are open to the public. 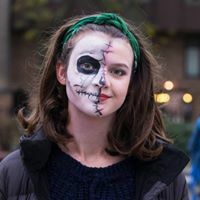 The 31st Annual Spooky Zoo Spectacular , hosted by the Auxiliary Board of Lincoln Park Zoo, gives children the opportunity to celebrate Halloween in a free, safe, and family-friendly environment. This year's celebration will be held from 10:00 AM to 1:00 PM. Read more . Zoning Committee meetings are held the second Tuesday of each month at 6:00 PM in the back room of the Marquee Lounge (Halsted & Armitage). Zoning Committee meetings are open to the public. 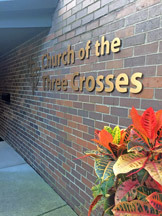 The Monday evening class is held in the sanctuary, while the Saturday practice takes place in a glass-sided room that looks onto the church green. Participants are your neighbors - men and women who come together to breathe deeply and move steadily under Gina's careful instruction. Yoga class leaves us feeling great: focused, energized, at peace. Join us. Monday, 7 pm (75 minutes) and Saturday 8 am (60 minutes). Mats, blocks, blankets provided. $15 per class, cash or check only. Additional details will be provided in the November issue of the newsletter. You must answer questions to be admitted into the group! The group checks profiles before approving membership . If you fail to answer questions, you're brand new to Facebook, they will assume you are masquerading as an alias or "fake" profile. If your Facebook profile does not indicate residence in the city of Chicago, you will not be accepted to the group. If you've been rejected and meet these requirements, contact one of the admins. 1) Be respectful of each other’s opinions. 2) Do not over post. 3) No for-sale posts or links to for-sale posts. 4) Multi-level marketing posts are not permitted and will be deleted. 5) No personal fundraisers or gofundme type pages - these will be removed. 6) Promotional posts are not permitted. 7) Post at your own risk. Posts made by group members are claims and opinions of those individual members and not the community as a whole. 8) Absolutely no posts advertising political candidates. *The group recommends that you do not post personally identifying information (Name + Address or Phone or Workplace) along with photos or video of suspects. * The group has a no-tolerance policy for trolling. Admins will remove group members who behave inappropriately. *Do not copy screenshots of your neighbors and post them in other groups for the purpose of making fun of the original poster or others commenting on the post. You will be removed. * Please respect the opinions of those in the forum. Being disrespectful or antagonizing the group may lead to posts being removed, or that person removed. Please hit "Report to admin" if there are any issues. * Posting first-hand accounts and experiences go a long way to helping your neighbors. This has been a very successful forum so far because everyone is sharing their own stories. Feel free to report anything suspicious you see in the neighborhood. If you see something happening, CALL 911. Report suspicious activity if you see it. 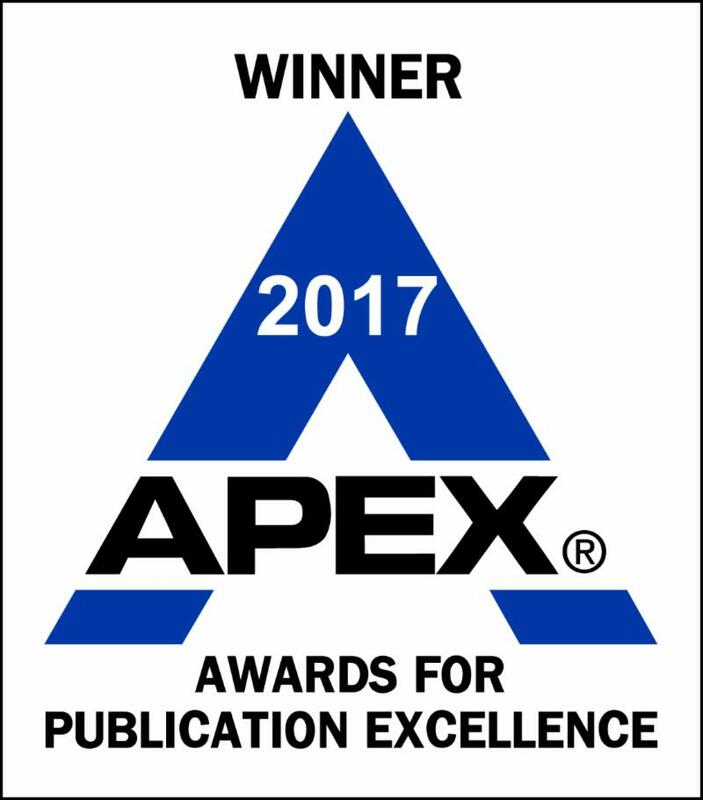 Annual APEX Awards for Publication Excellence , an international competition in which the effectiveness of communications programs of organizations are judged without regard to organizational size or funding. Prudential Insurance Group, NASA, and the National Football League. volunteer not-for-profit to be honored with a Grand Award . writing awards. APEX Awards of Excellence are based on excellence in graphic design, editorial content and the ability to achieve overall communications effectiveness. President Kenneth Dotson's monthly letter to readers. • The bounce rate of LCA's emails is only 1% compared to the industry average of 9.73%. an opt-out rate of just .00078. • No recipient of an LCA e-mail in 2018 has reported any LCA e-mail as spam. subscription bimonthly for professional communicators. of initiatives for the betterment of the neighborhood. From the Heart is an award winning newsletter published by Lincoln Central Association, and co-edited by. Kenneth Dotson and Kathy Jordan. We welcome your feedback and story ideas. We look forward to hearing from you at newsletter@lincolncentral.org . From the Heart has received APEX Awards for Publication Excellence in 2016, 2017 and 2018. 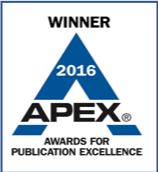 In total the newsletter has received six APEX awards since 2016. Additionally, From the Heart has been named a Constant Contact All-Star for 2015, 2016 and 2017 based on the open rates and other metrics associated with this newsletter in comparison to other Constant Contact clients. ﻿Visit our archive to catch up on past issues.